Capitol View Park was Montgomery County's First Historic District. This Old Historic Neighborhood is down by the Railroad Tracks and just past Forest Glen in the area of Silver Spring that borders Kensington, Maryland. In this quiet shaded glen, away from the hustle and bustle of Downtown, you will find an eclectic mix of house styles and ages, every thing from old "Sears" Bungalows, Vintage Foursquares, Restored 1880's Victorians, post WWII cape cods, colonials ramblers split levels and new recently built homes. Capitol View residents can enjoy living in this "woodsy, quiet and almost rural area that is between the hustle, bustle and convenience of Downtown Silver Spring and at one end and the quaint charm of the small town of Kensington at the other end. A quaint interesting is the the 1880s-era general store on Post Office Road next to the Forest Glen "Castle". 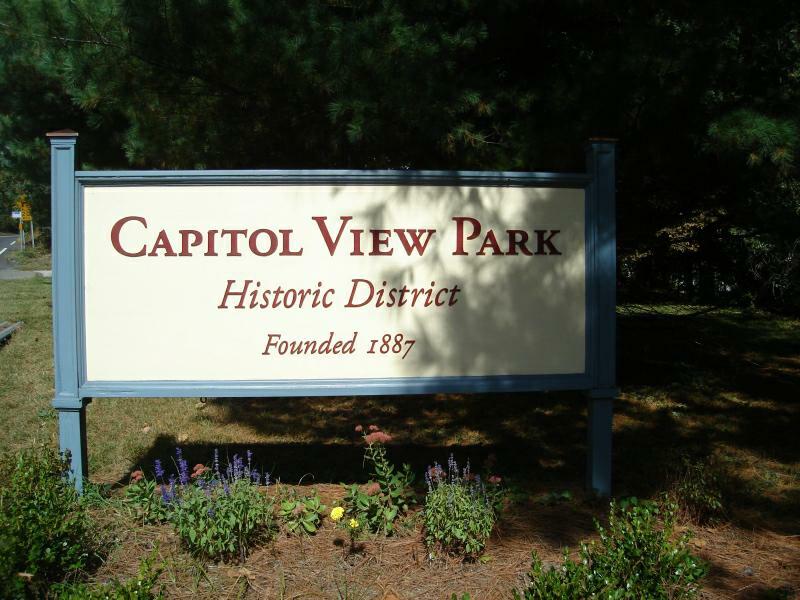 More information about Capitol View Park and it's history can be found through the Capitol View Park Citizens Association and the Capitol View Park Historical Society. Montgomery County Public Schools have a reputation as being among the best in the nation. high schools in the Downcounty cluster include Montgomery Blair, Albert Einstein, Northwood High, John F. Kennedy and Wheaton High School. There are also several excellent Private Schools convenient to Capitol View Park such as The Academy of the Holy Cross, Holy Cross Elementary, Grace Episcopal School and the Evergreen School to name a just a few. A recent article in the Washington Post describes this area as having bounty of variety in it's architecture. I can say that it also has a huge variation is it's Real Estate prices.